As the Republican National Convention grows near, many are gearing up for the star-studded Trump filled event... Well, most are. A lot of GOP senators are skipping the RNC this year, for a wide variety of reasons. According to the Associated Press, the number of senators sitting out this year is "unusually high." It's not uncommon for certain senators who are up for reelection to utilize the time to campaign in their states. Sen. Marco Rubio, who is up for reelection in Florida this year, will be campaigning in his state rather than supporting the party in Ohio. 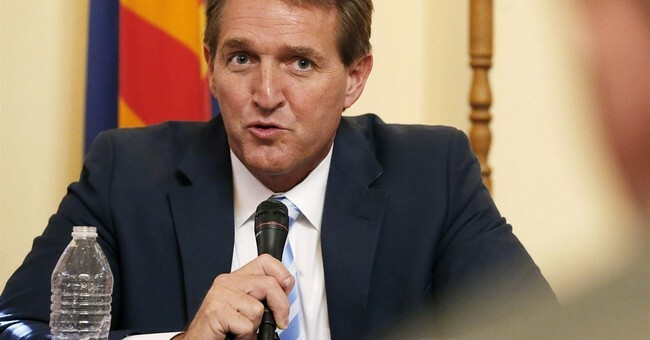 Other Senators, like Sen. Jeff Flake (R-AZ) are missing for other reasons. Flake told the AP he had many household chores to do, like mowing his lawn. This follows Flake's confrontation with the presumptive Republican Nominee last week in Washington. Trump called out Flake for being "very critical" of him in a meeting with GOP senators. No one could predict what excuses these other senators are using to get out of the RNC - and I'll admit, they're decently creative! Sen. Ben Sasse (R-NE) would rather be watching dumpster fires around his state instead of travelling to Ohio with his colleagues. Sen. Steve Daines (R-MT) will be fly-fishing with his wife as opposed to listening to the long list of speakers at the RNC. Sen. Lisa Murkowski (R-AK) will not be present at the GOP gathering because she will be traveling to her state by bush plane. Out of 54 Republican Senators, 16 will not be in attendance and six are still undecided.